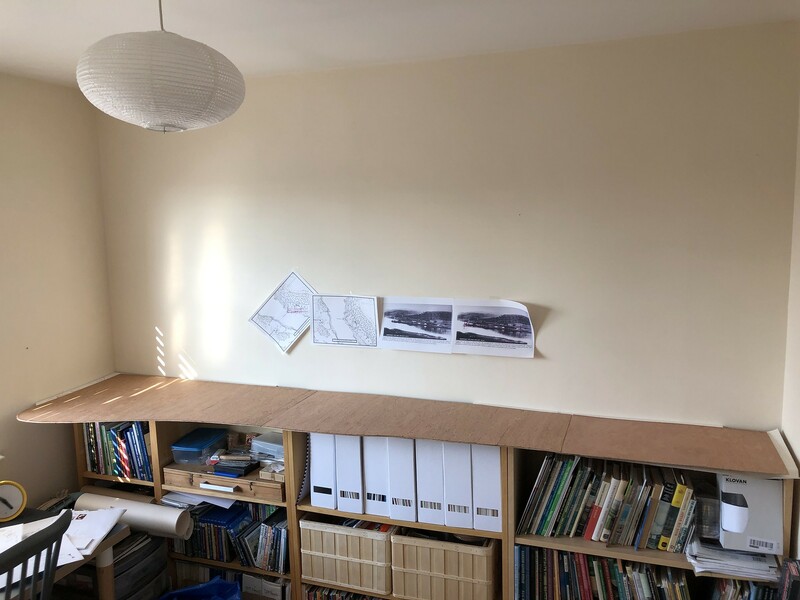 For a while i’ve had some 3mm ply sitting in the room the layout will live in, but “real life” has intervened, and at times proved a little challenging in recent months. 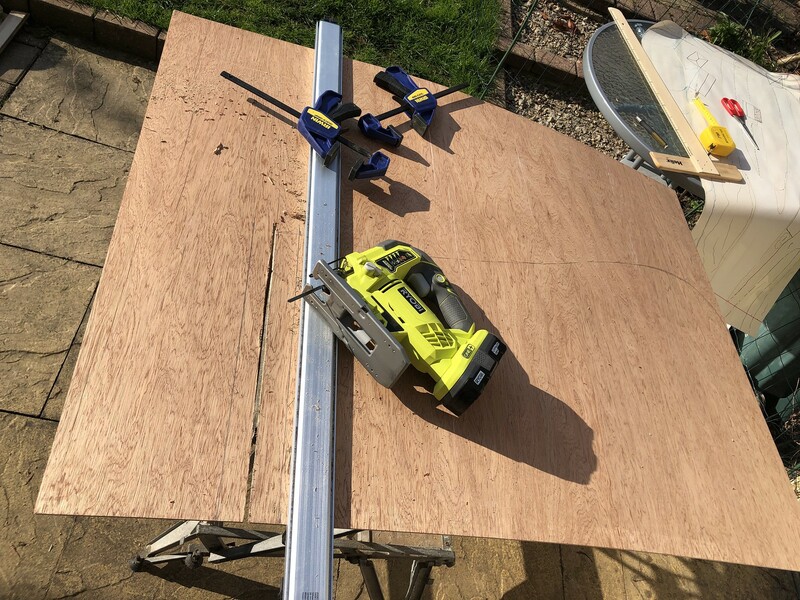 Today i managed to finish work early, and, whilst the sun was still shining, decided to get started on the baseboards for Dunvegan. 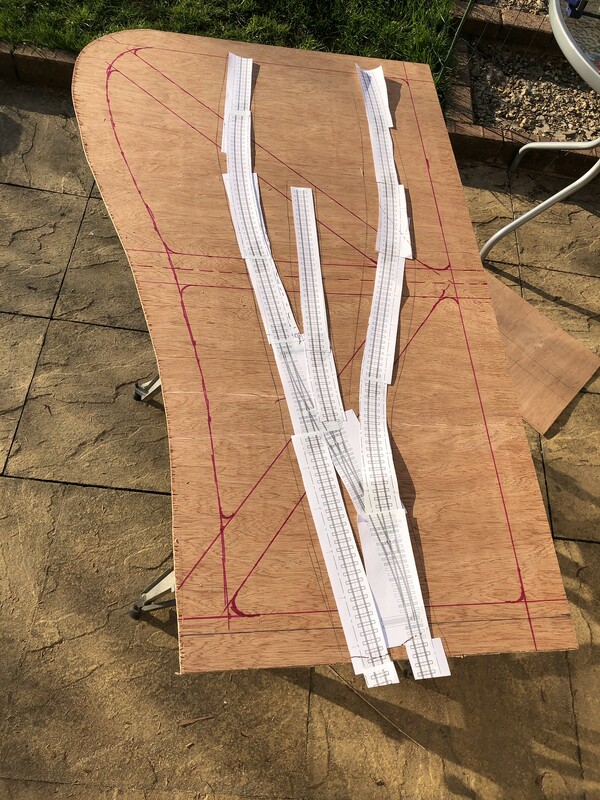 After using the paper templates that i’ve been planning the layout thus far to mark out the 3mm ply I set to it with the jigsaw. Testing the boards for fit on top of the Ikea billy bookcases, they fit in neatly. Each of the scenic boards is 1 metre long, with the fiddle yard 60cm long, and to the right in the image above. The track templates were used to check the shape and space. These were produced by Keith Angus, and kindly emailed to me for use. The points are from Fast Tracks as i’m contemplating using their jigs for the pointwork. I learnt the hard way last time how not to plan baseboard bracing and point motor location… making sure i think about that early this time! Think i’ll just about get away with a couple of those. It may look flimsy now, but with further woodwork to be applied, and some extruded polystyrene it will gradually increase in rigidity. It is very lightweight, and a 1m wide board is a nice size to manoeuvre on my own if needed. 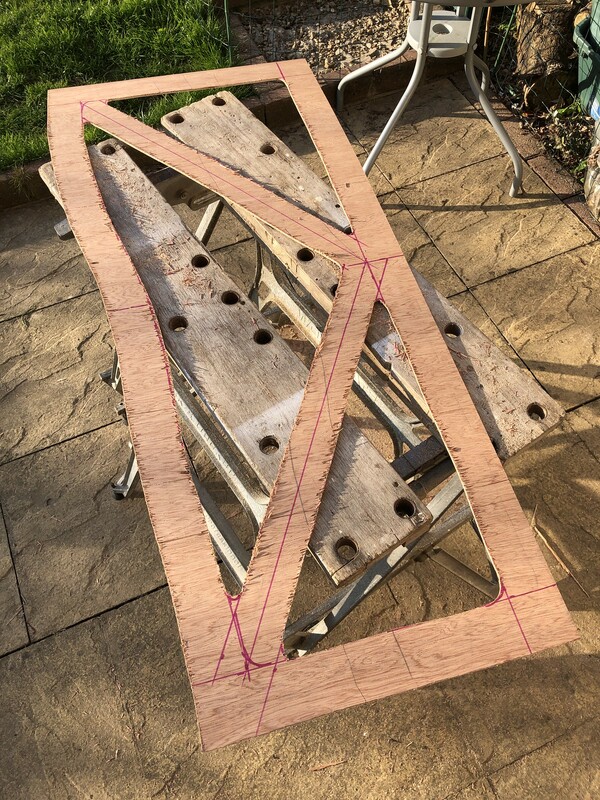 This is as far as i got before the jigsaw batteries ran out… So i just stuck to enjoying the sunshine instead. Today something arrived at home that i’m quite proud of. I’ll keep this brief though as I don’t like to toot my own horn too much. For a long time now I’ve thoroughly enjoyed reading the magazine Narrow Gauge and Industrial Railway Modelling Review. To the point I’ve been collecting all the back issues over the last few years and thoroughly enjoy reading through them repeatedly. 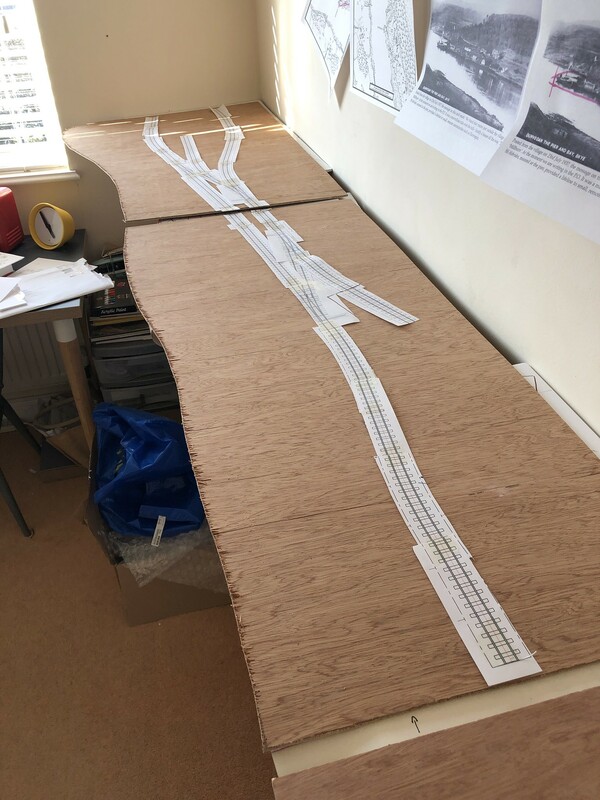 When I was exhibiting my model of what the Hebridean Light Railway would have looked like at Isle Ornsay Bob Barlow, then editor of the Review approached me to write an article. I didn’t feel I could keep up with the pace of the quality of other modellers on show, so declined. Sadly Bob passed away and i never did write that article for him – which I regret. So, when starting to model Dunvegan and John Clutterbuck asked if I’d write about it for the Review I thought again. Issue 117 has just landed on the doormat with the start of the series on my new layout. I won’t spoil the rest of it for you, if you want to read how I turned some research on a ‘might have been’ railway into a credible plan for a layout then head over the Review website and buy yourself a copy. Aside from that there’s some quality modelling on show as usual.